The Cumbres and Toltec Scenic Railroad is a National Historic Landmark and is the longest and highest steam, narrow gauge railroad in North America. This scenic 64-mile train ride crosses the border of Colorado and New Mexico 11 times and climbs over Cumbres Pass at over 10,000 feet in elevation, offering spectacular scenery through steep canyons, high desert, and lush meadows along the way. Climb aboard a narrow gauge, coal-fired, steam train. 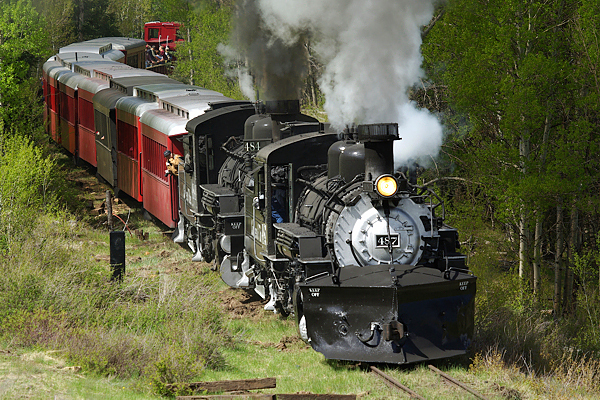 Built in 1880, the Cumbres & Toltec Scenic Railroad is a historical remnant of the spirit that conquered the west. Climbing over steep passes and deep gorges, this trip is a one-of-a-kind wild west scenic adventure. This 64-mile scenic route passes over the state borders of New Mexico and Colorado eleven times winding through beautiful scenery and wildlife only found on this unique trip. 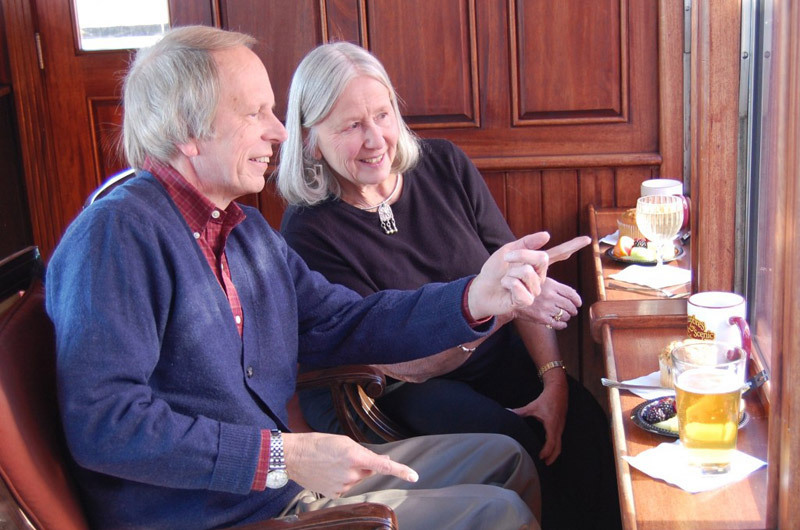 Your knowledgeable guides will join you on every trip to ensure you are well versed about the historic story of this incredible railroad as well as the machinery and the scenery. Many of the buildings and railroad equipment are remnants of the late 1880’s, making the Cumbres & Toltec Scenic train one of the best preserved steam-era railroads in North America. 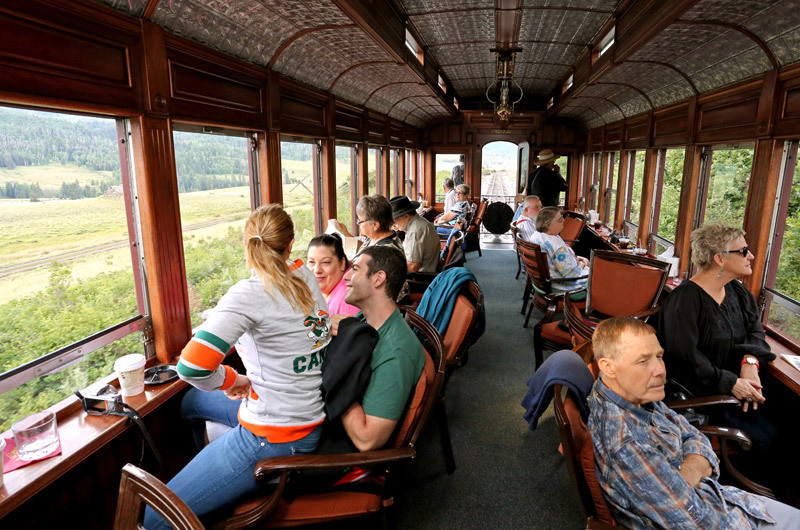 Regularly scheduled train rides stop in the colorful section town of Osier, CO for a home-cooked lunch with such favorites as roast turkey or meatloaf with all the fixings, full soup and salad bar – included in the price of your ticket. Don’t forget to leave plenty of room for an array of ten different old-fashioned desserts. Enjoy three different classes of cars for your ride, with something for every budget and every family. Relax, open your window if you choose, and take in the fresh Rocky Mountain air. The budget-friendly classic coach cars offer comfortable bench seating, but please feel free to move about the train. 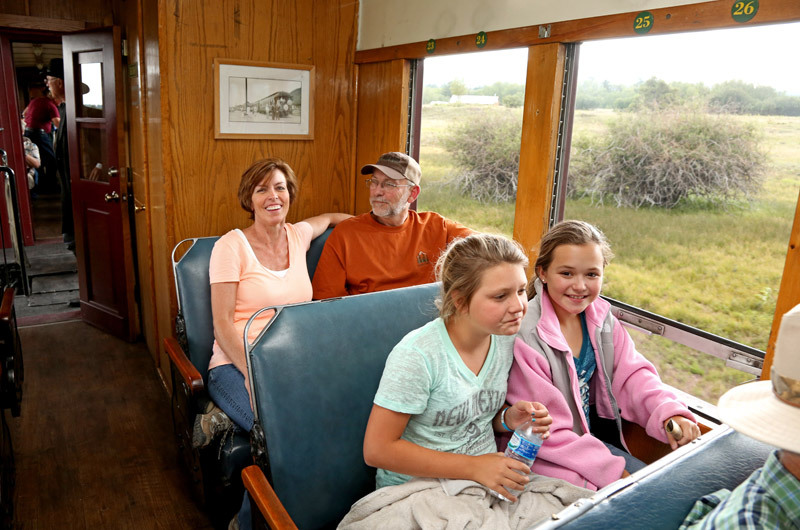 Ride into history aboard the newly restored Tourist Class cars. As an esteemed upgrade from Coach Class, for all ages, these cars offer table and chair-style elegant setting with more room, and the comfort of individual seating. We also want you to feel free to move about the train. 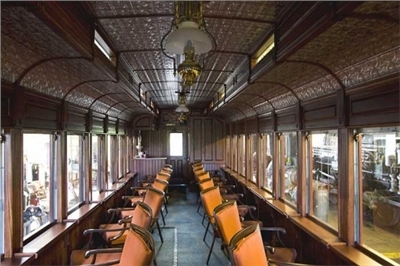 Step aboard the Victorian-era elegance of the meticulously restored Parlor Class cars – a level of luxury, service, and comfort that once was reserved for such dignitaries as railroad barons and mining kings. 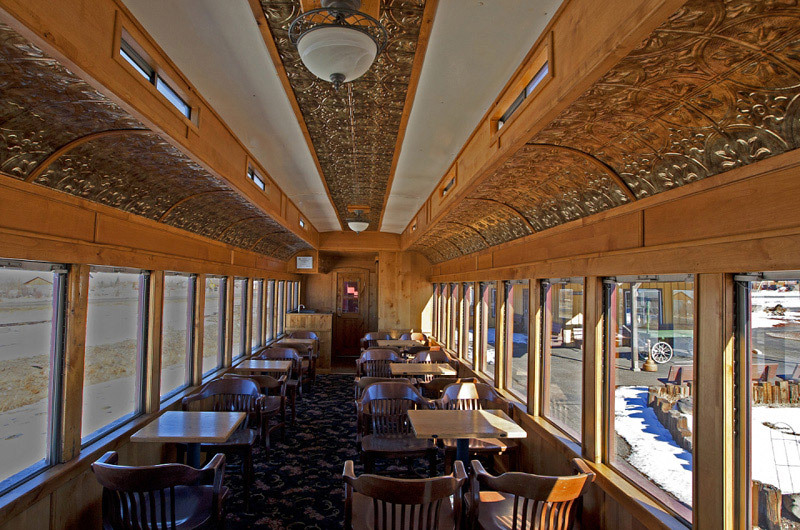 Parlor cars offer lounge style comfort and panoramic windows that open to the unspoiled grandeur of the Frontier West. Personal attendants serve continental breakfast of fresh fruit, delectable confections, fresh coffee, hot chocolate, and your choice of juices. A private Open-Air Observation Platform provides unobstructed views, great photo opportunities, and a chance to spot some of the abundant wildlife in the area. Four folding chairs are available for a small fee on a first come basis, so please reserve when purchasing your fare. Seating is limited but your imagination needn’t be! 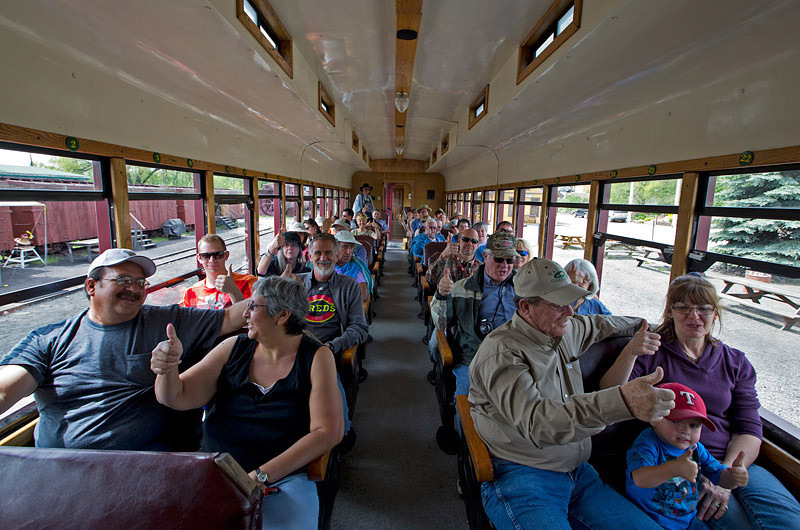 Snacks, film, gifts, and souvenirs are available on board and you won’t want to miss the Open-Air Gondola with unobstructed views and a friendly, informative guide/docent to take you on this journey of history, scenery, and machinery … much as it was over 125 years ago. 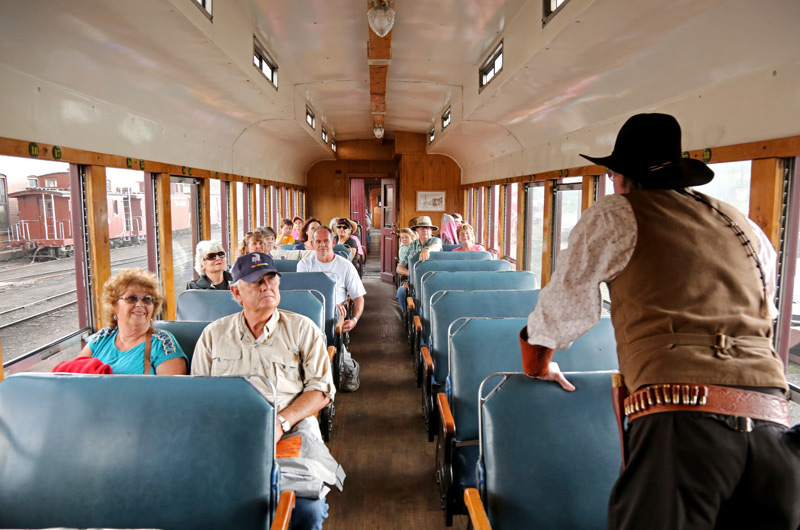 Throughout the year, also keep your eye out for special family-friendly themed trains offering entertainment such as a ride with Cinder Bear, The Cumbres and Toltec Rail Mascot, and more! 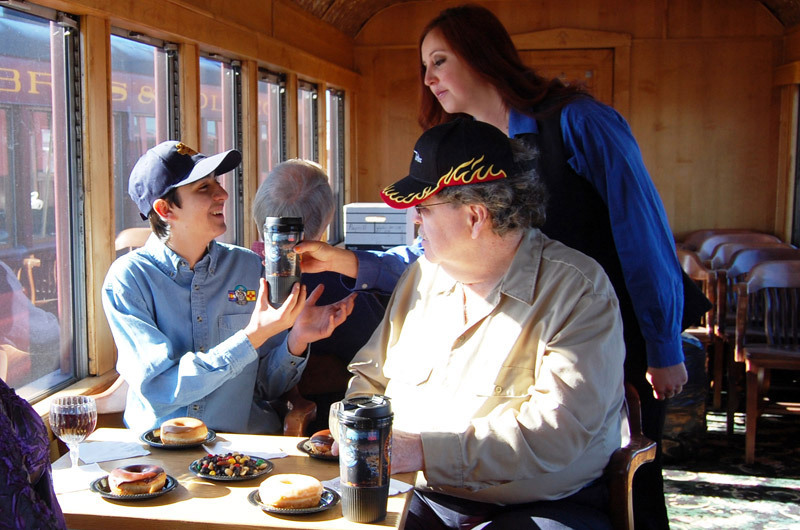 Trains depart from Chama, New Mexico and Antonito, Colorado daily at 10am – Motor Coach Buses depart mornings at 8:30am. Please Note: If you are staying in Durango or Pagosa Springs, we recommend that you take a trip departing from Chama – a beautiful 45-minute drive south from Pagosa Springs. Personal attendants serve a continental breakfast of fresh fruit, delectable confections, fresh coffee, hot chocolate, and your choice of juices. Coach- A ride that is budget friendly with comfortable padded bench seating. Tourist- Enjoy one of our newly restored tourist cars with elegant seating with extra room and individual seating for your comfort. Coach - A ride that is budget friendly with comfortable padded bench seating. Getting to Antonito. Antonito is on US Highway 285, 28 miles south of Alamosa, Colorado, and 115 miles north of Santa Fe. 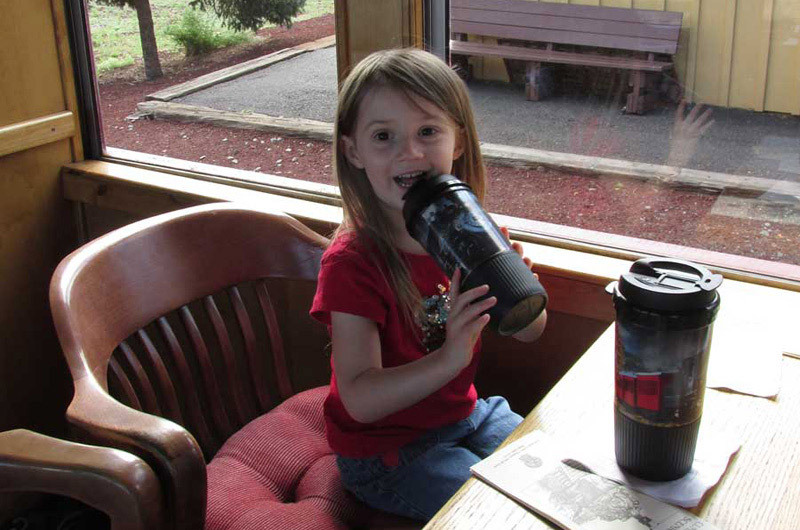 The depot is located at the intersection of US Highway 285 and CO Highway 17, on the southern edge of town. Physical Address: 5234 B Hwy 285, Antonito, CO 81120. Cancellation | Payment due at time of reservation. Cancellations received more than 48 hours prior to your departure date are charged a 20% cancellation fee. No refund within 48 hours of departure. Any changes to your ticket will incur a $7.50 change fee. Deposit | Full payment is required at time of reservation. Other | Cancellation: Payment due at time of reservation. Payment due at time of reservation. Cancellations received more than 48 hours prior to your departure date are charged a 20% cancellation fee. No refund within 48 hours of departure. ADA accessible cars, & bathrooms on the train and depots. Please advise of handicap / wheelchair accessible at least 3 days in advance. ADA accessible cars, & bathrooms on the train and depots. Please advise of handicap/wheelchair accessibility at least 3 days in advance.